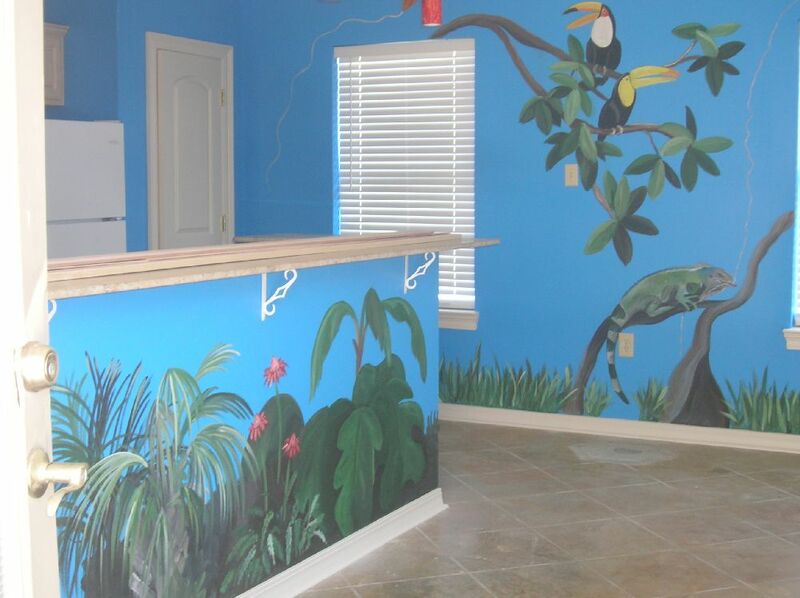 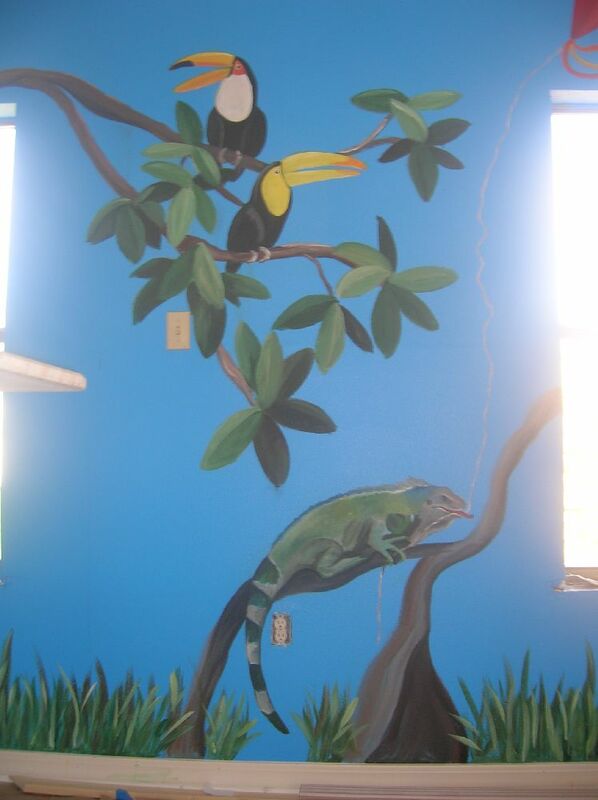 Go to Children's Art to see African Safari mural and Indian Jungle Room. 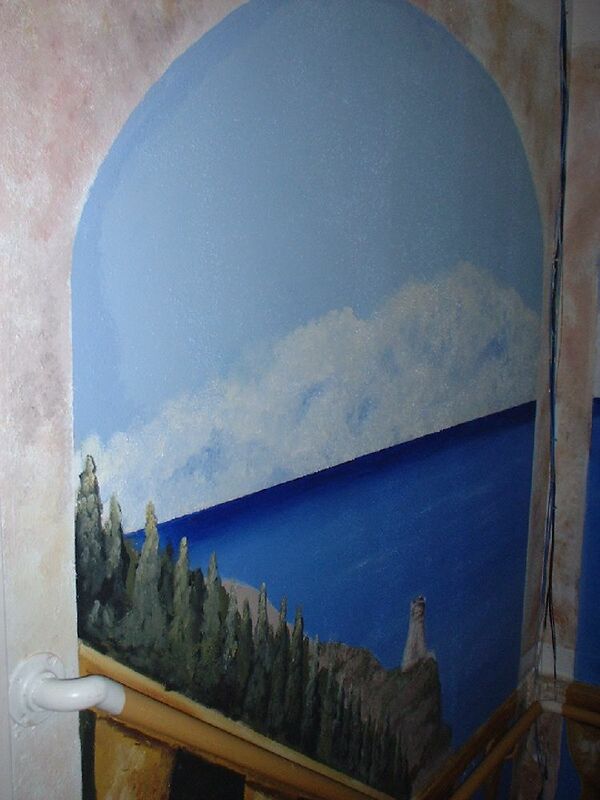 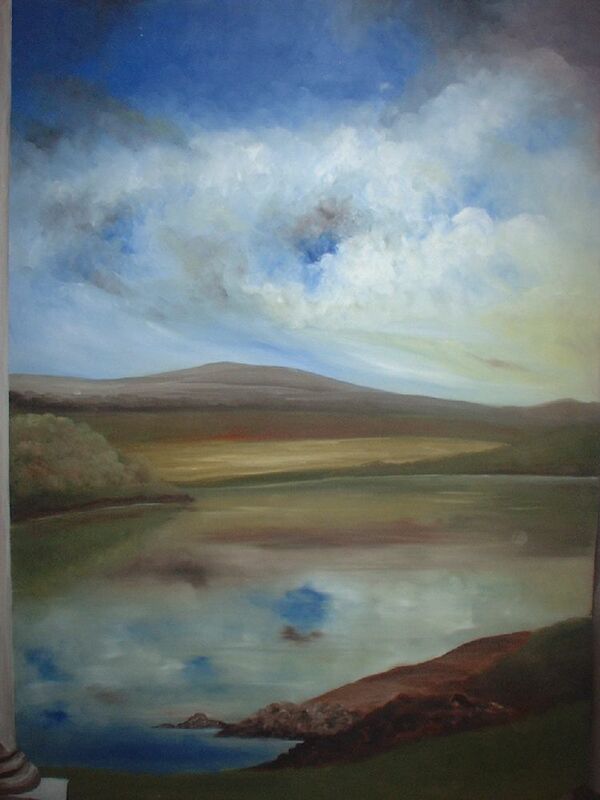 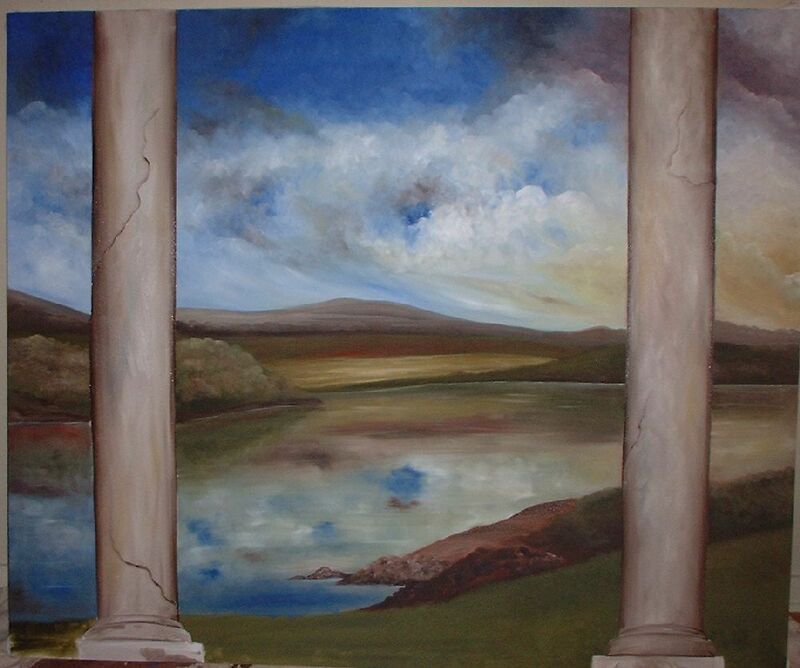 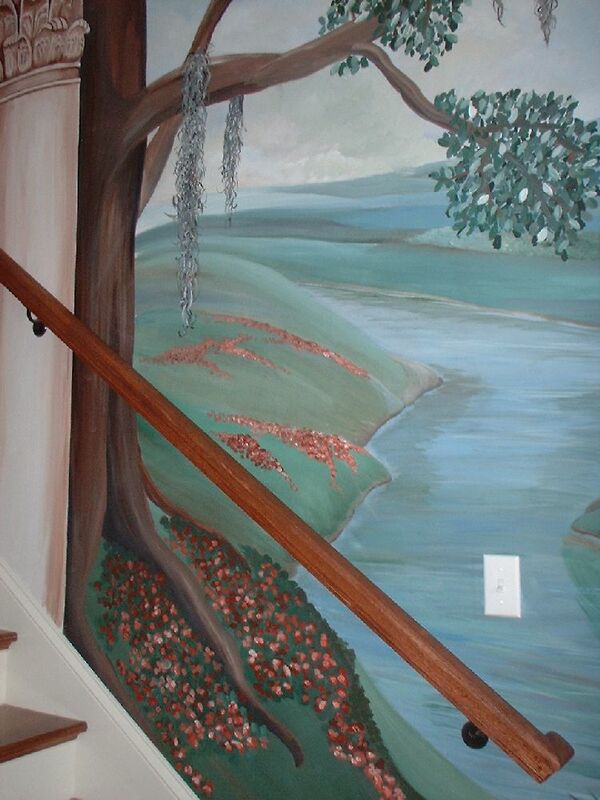 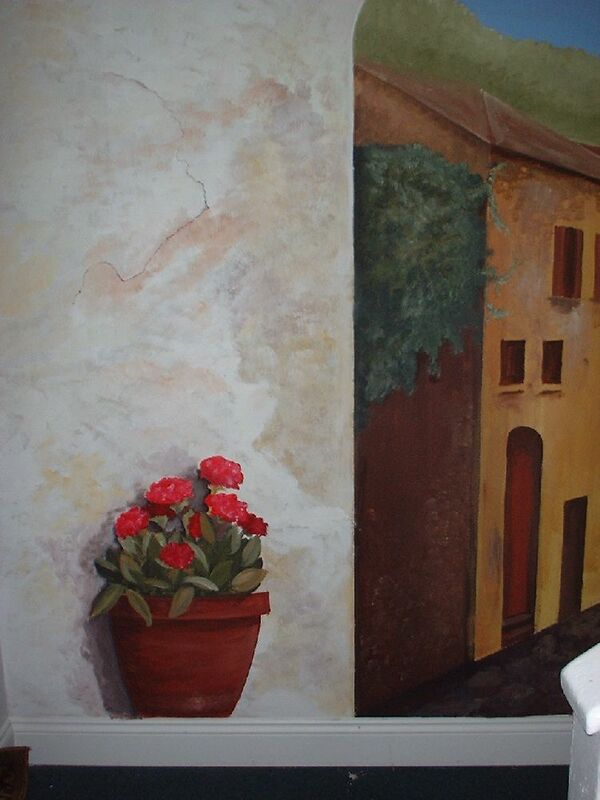 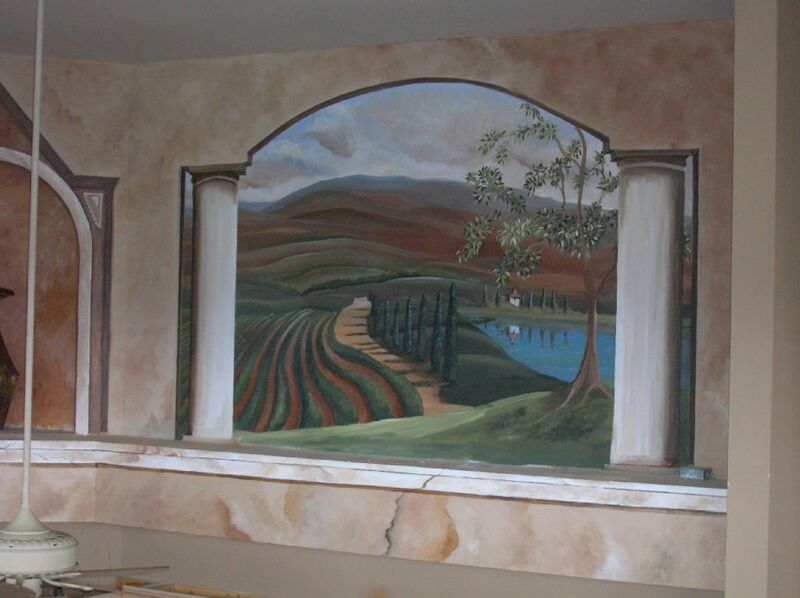 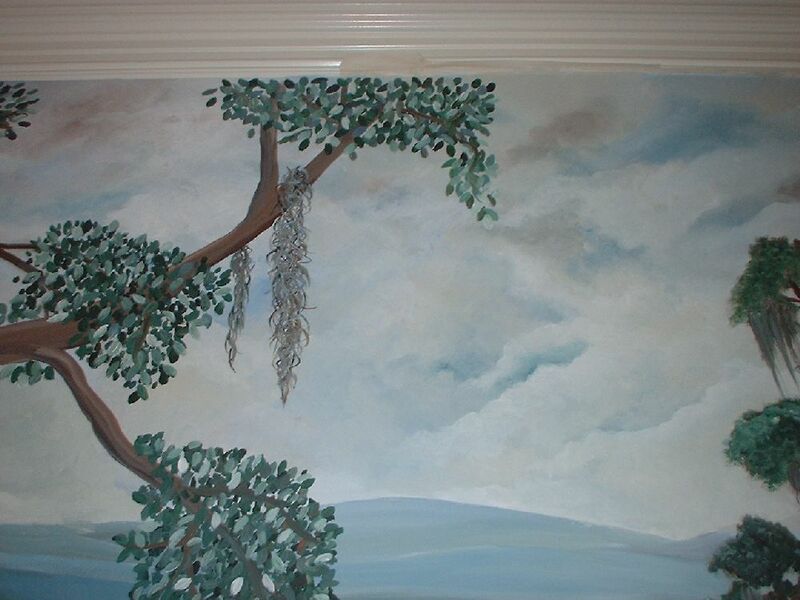 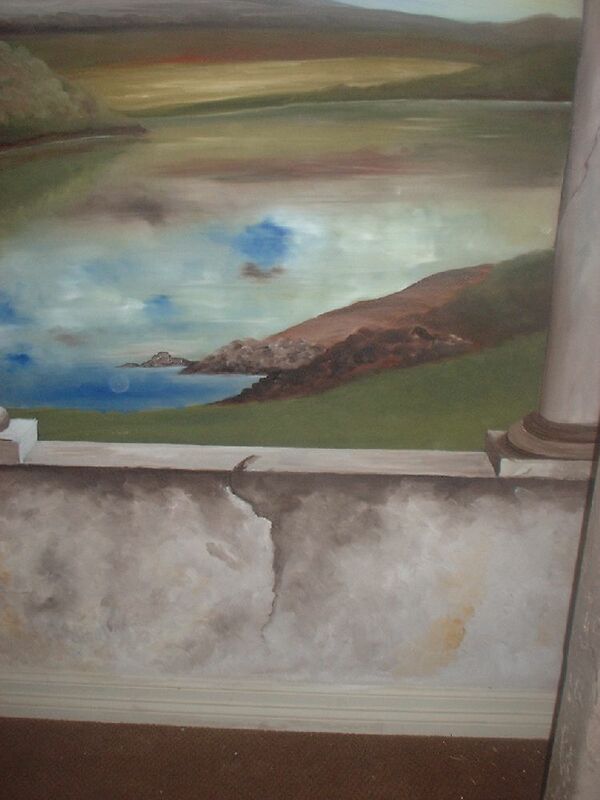 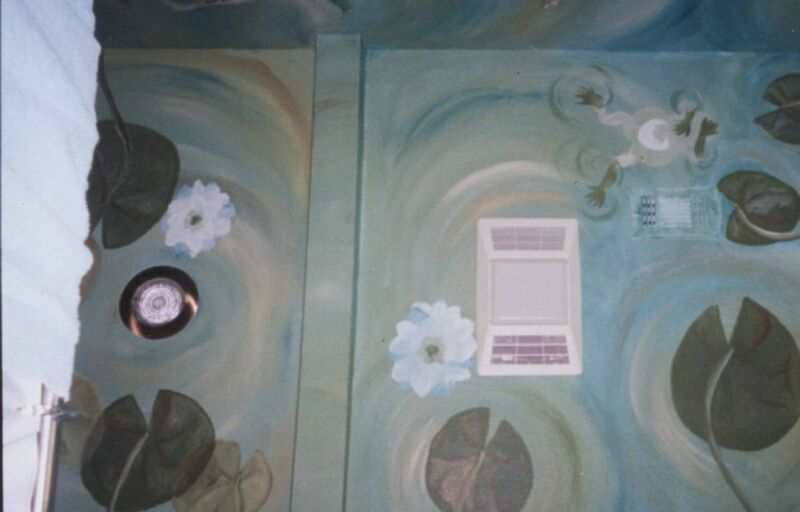 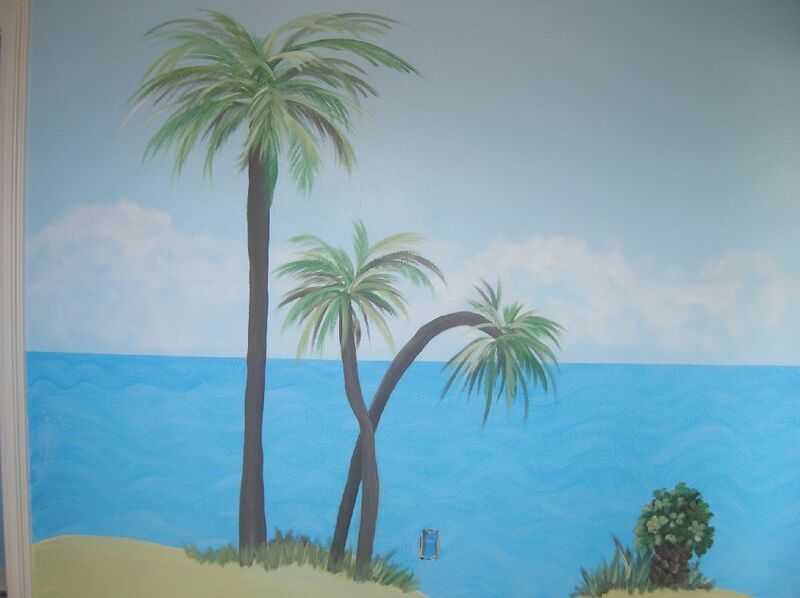 Landscape mural, oil on canvas, applied to wall. 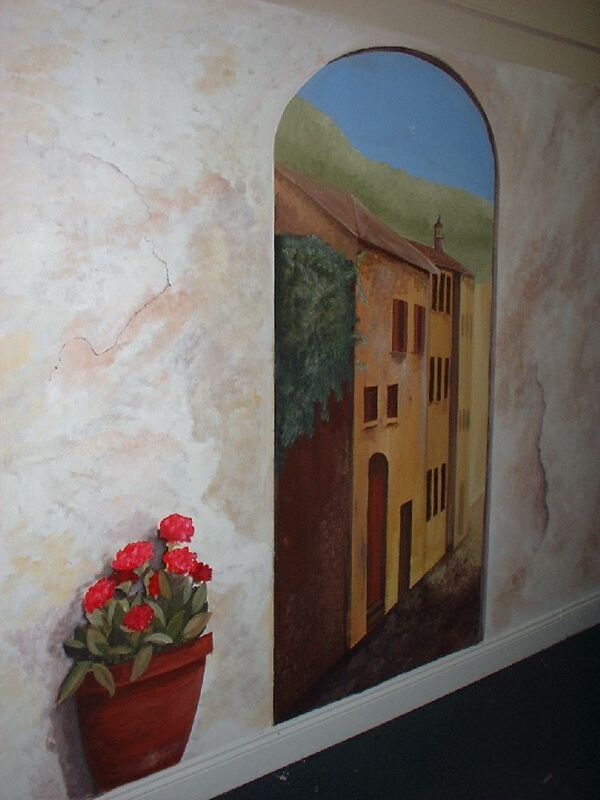 The original 6 x 5 was altered to fit alcove. 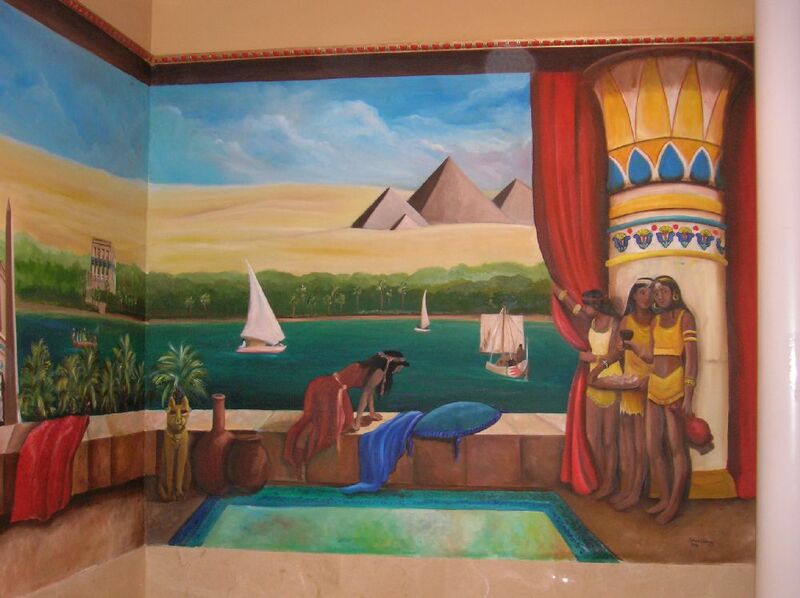 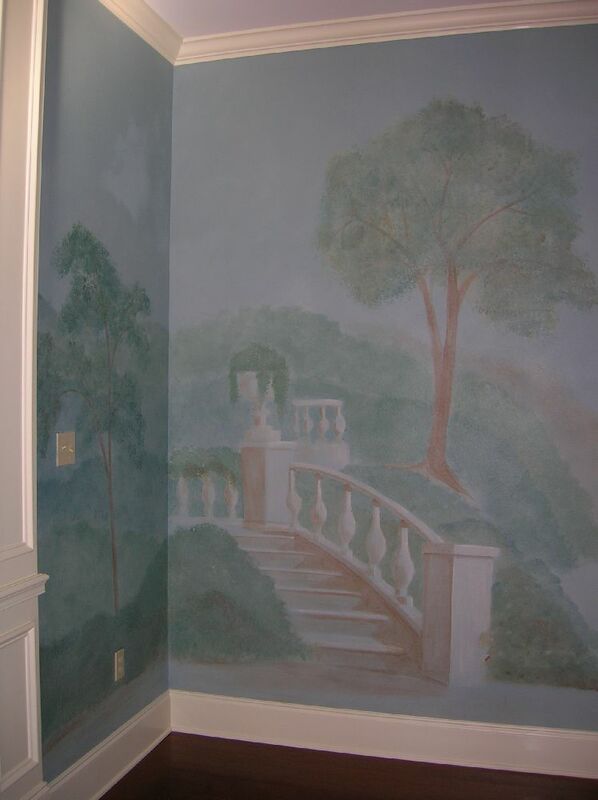 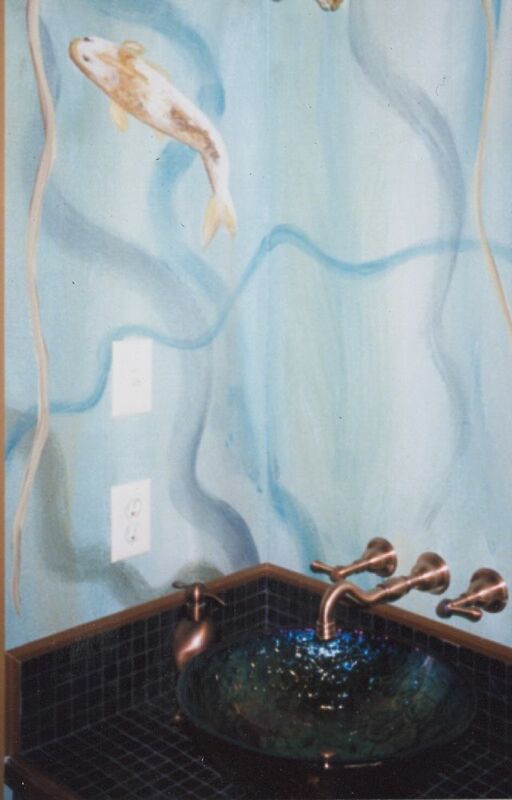 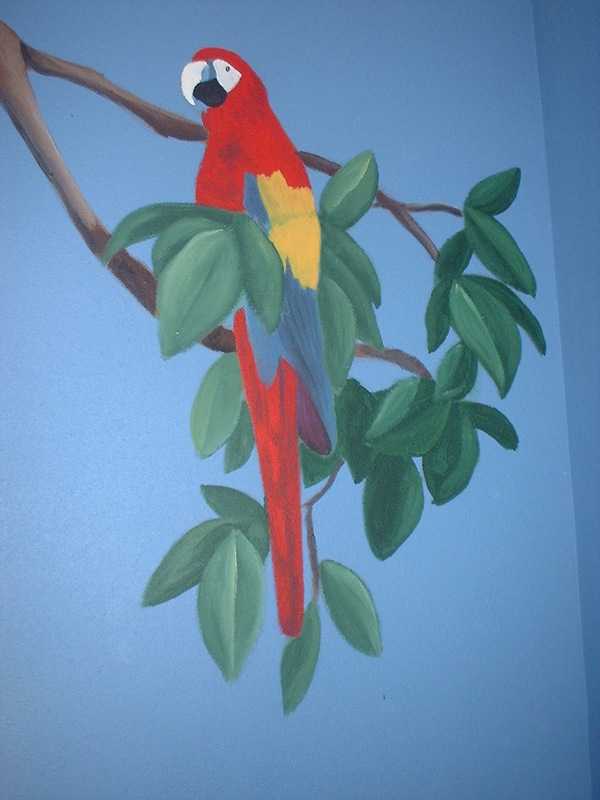 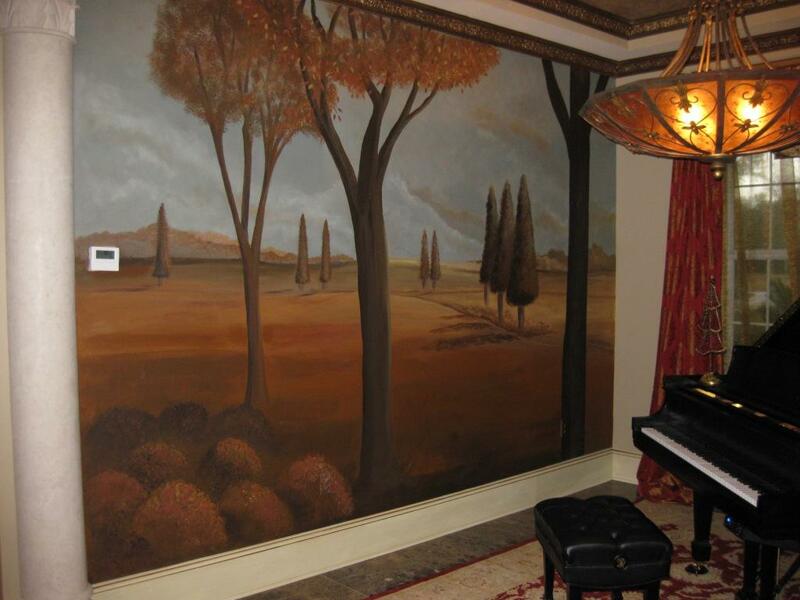 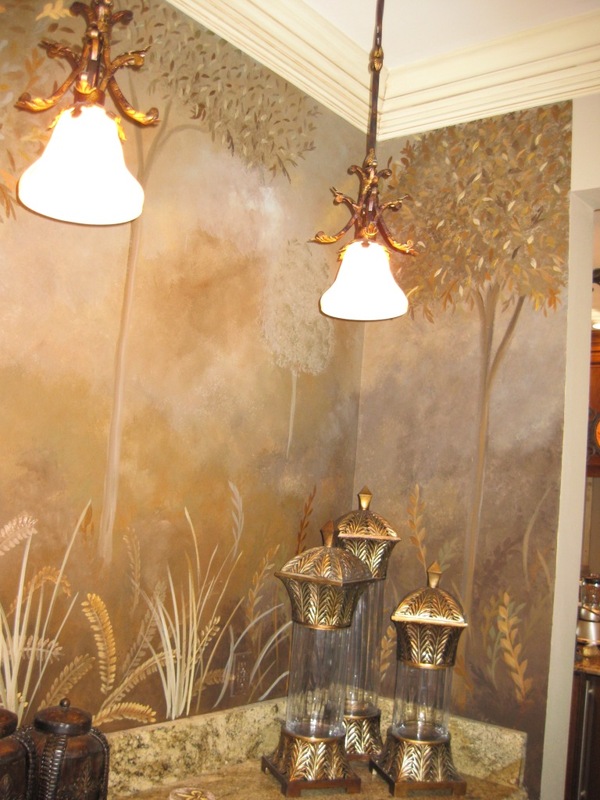 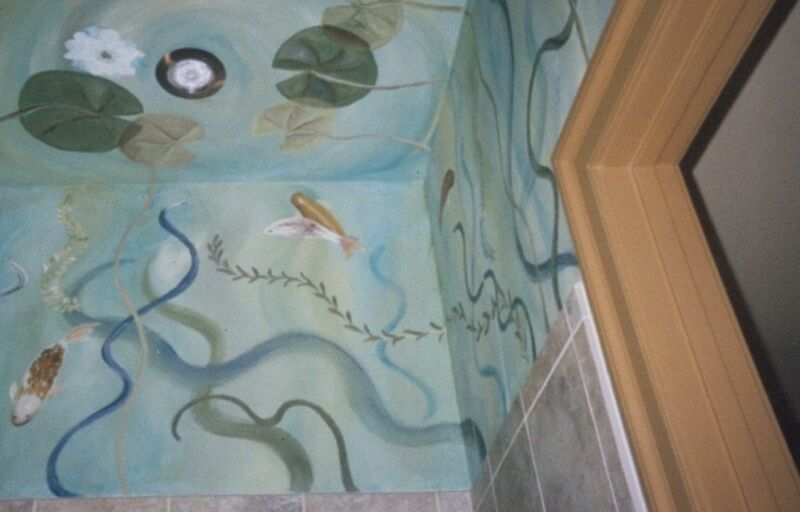 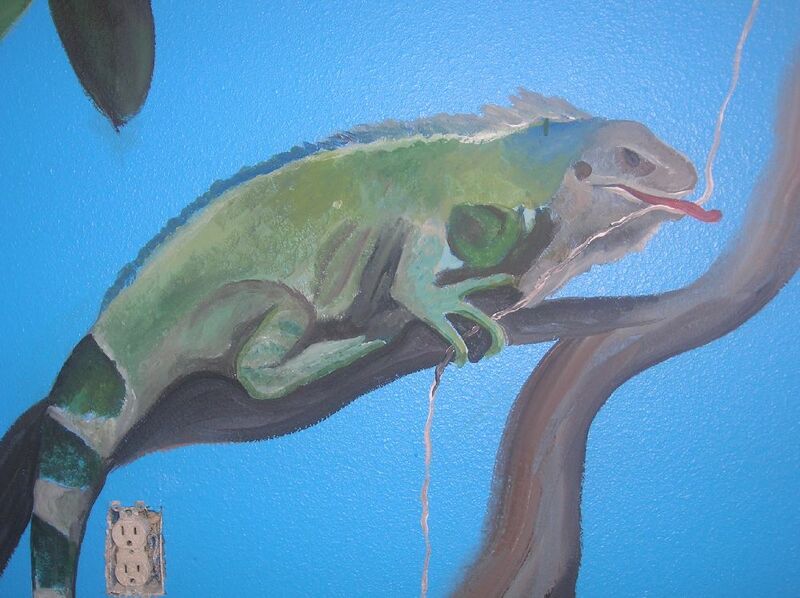 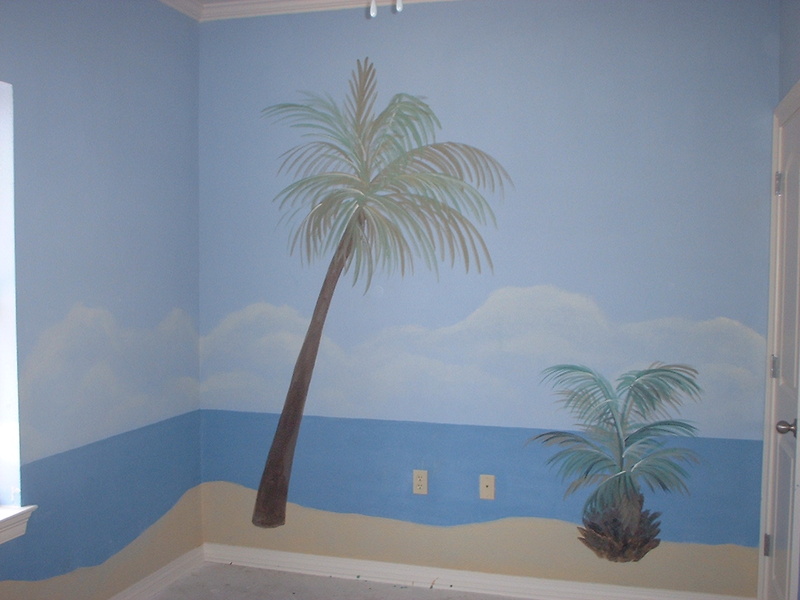 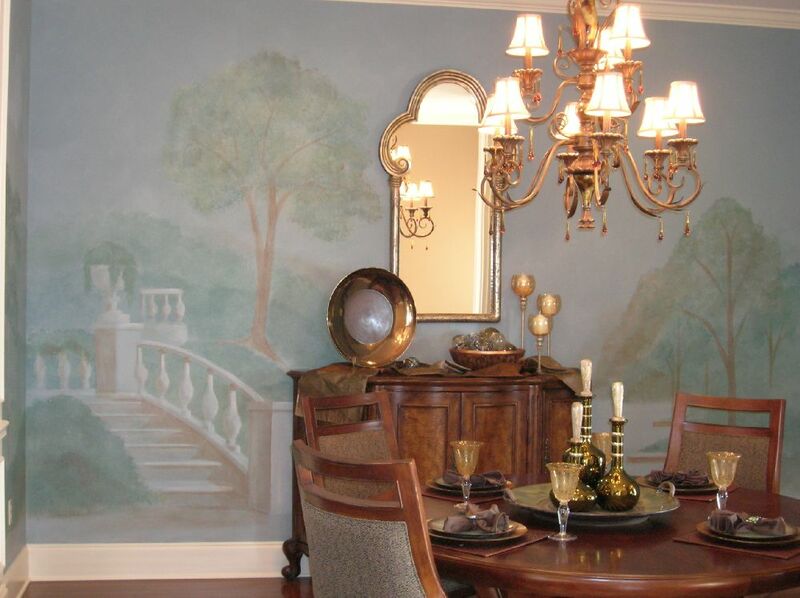 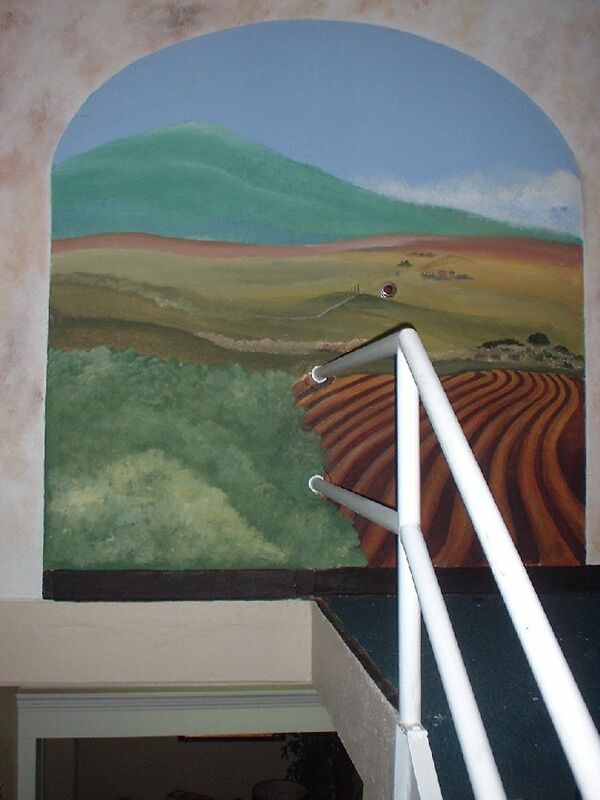 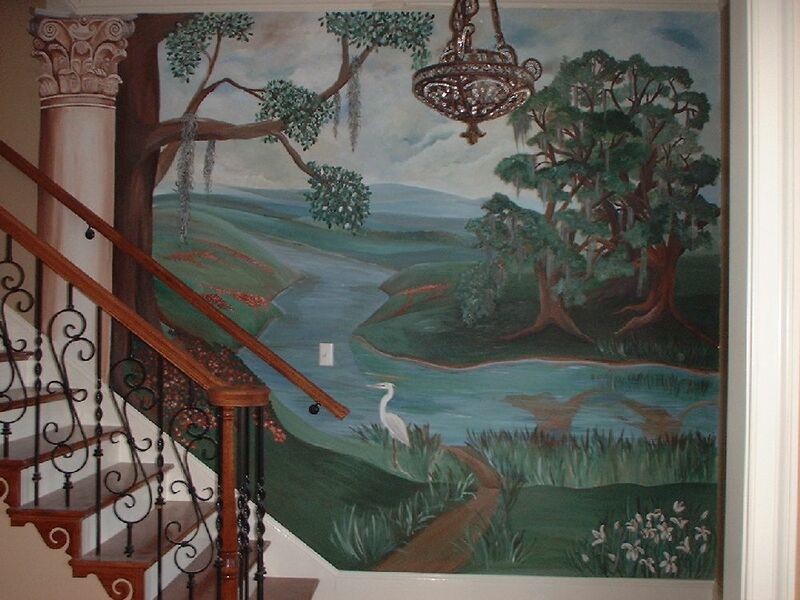 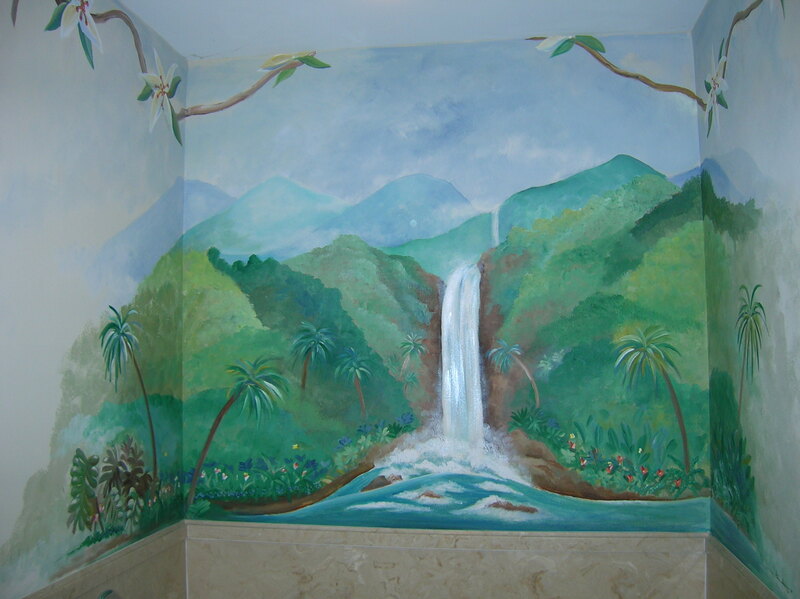 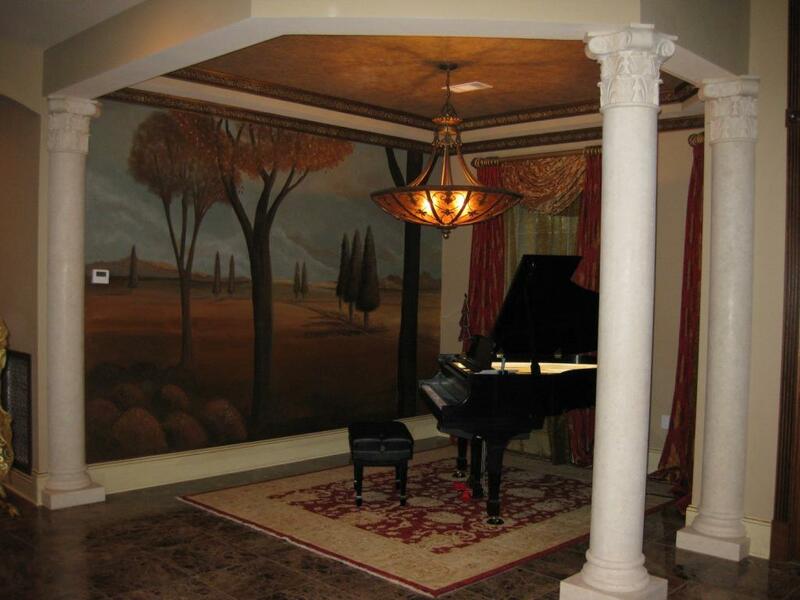 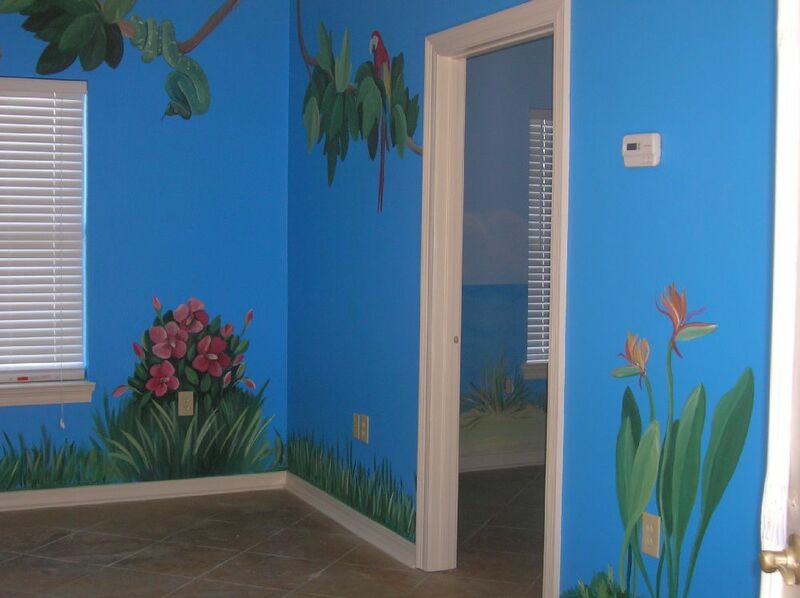 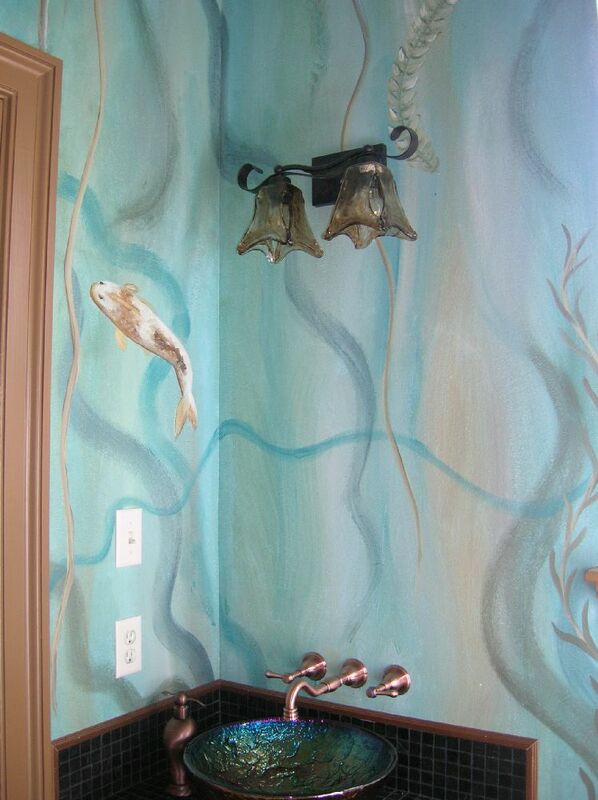 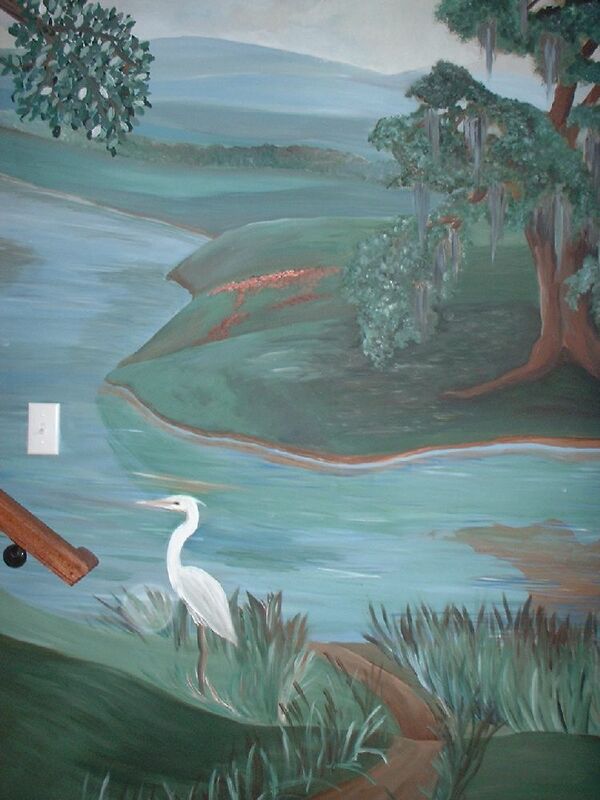 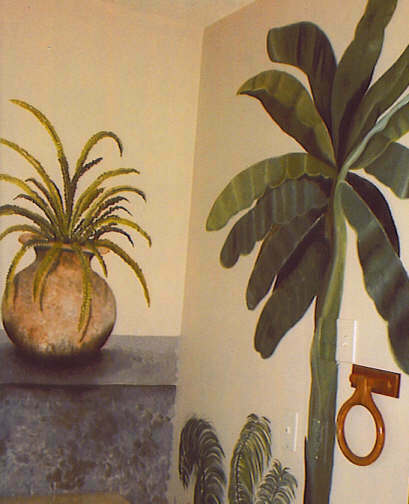 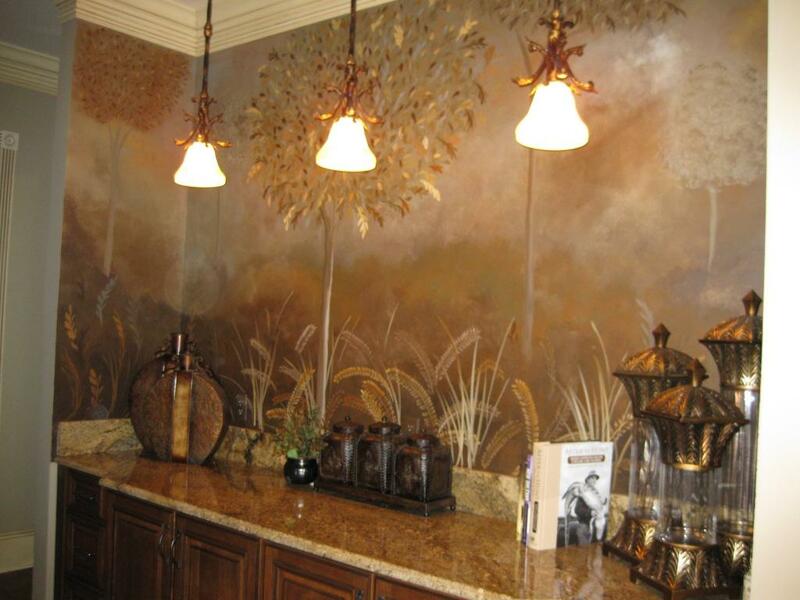 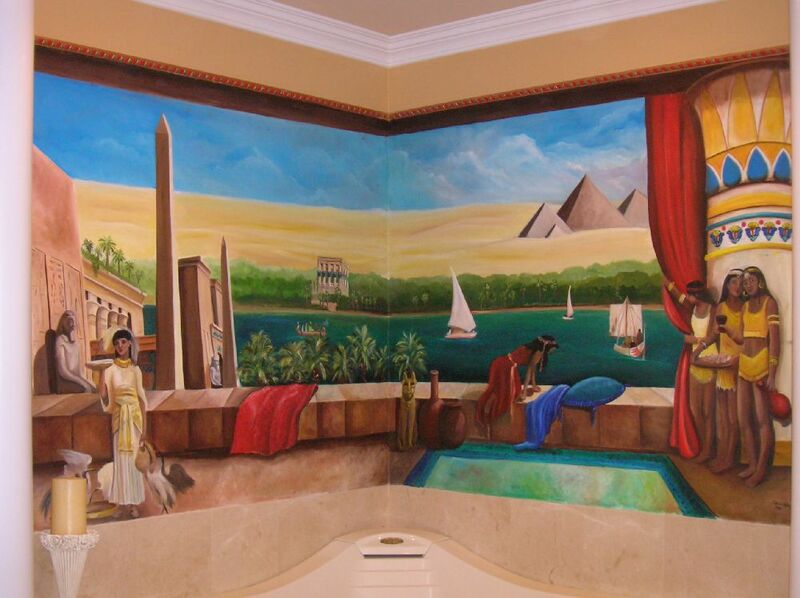 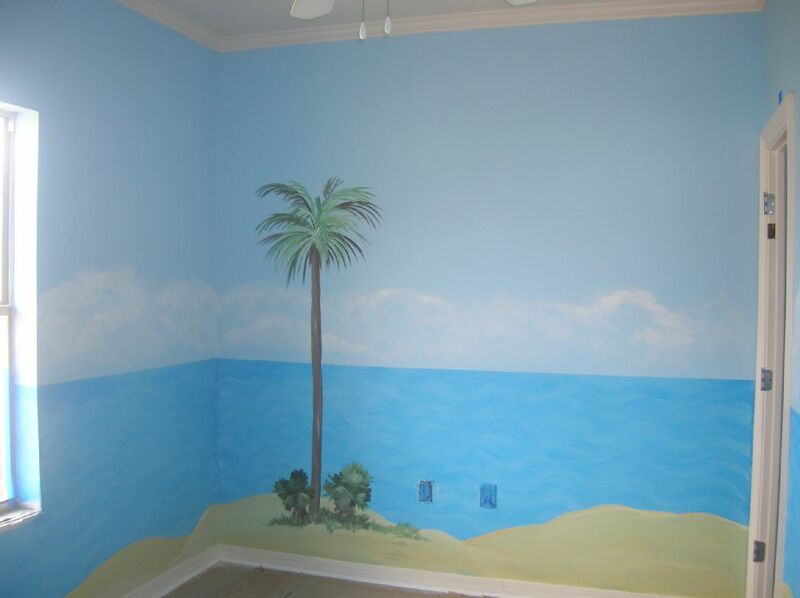 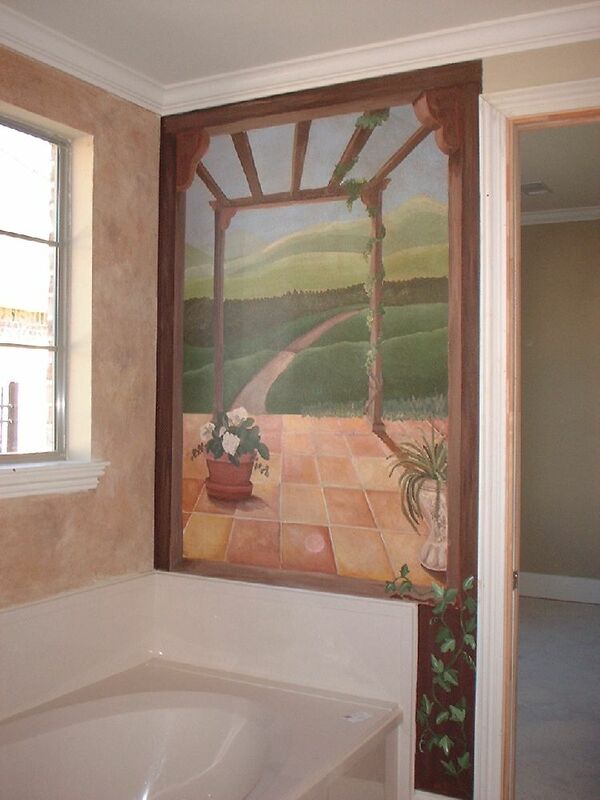 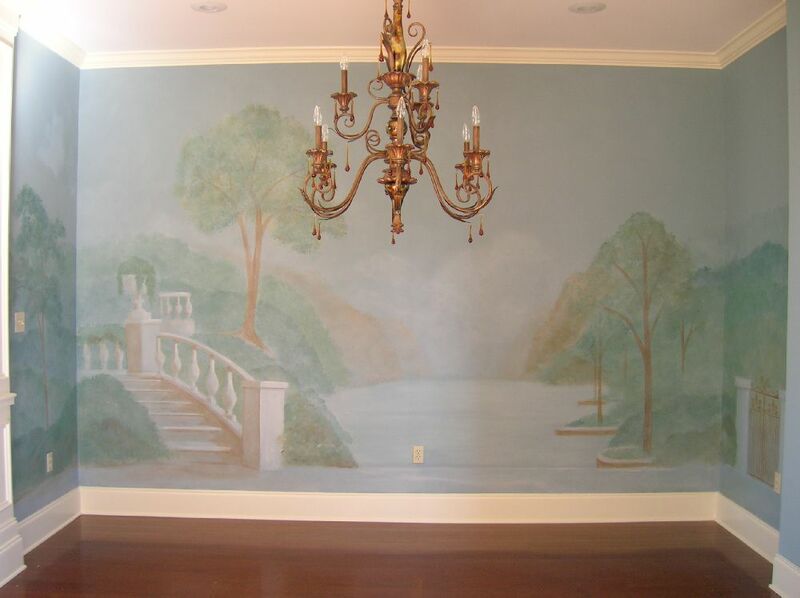 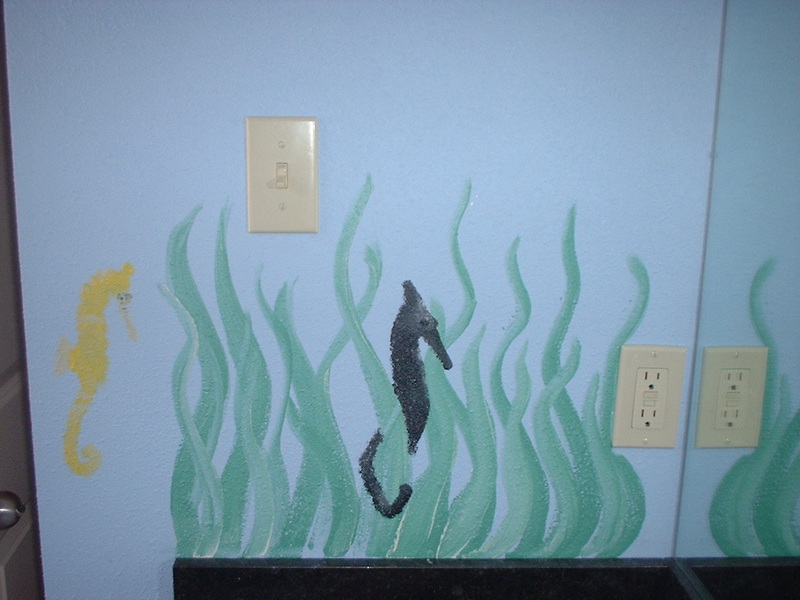 These murals were painted with a tea colored Ralph Lauren glaze on latex painted walls. 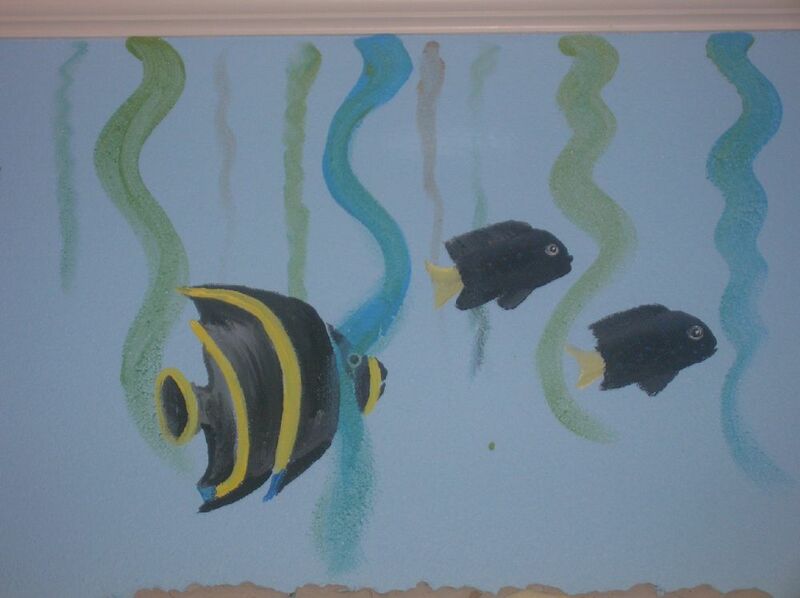 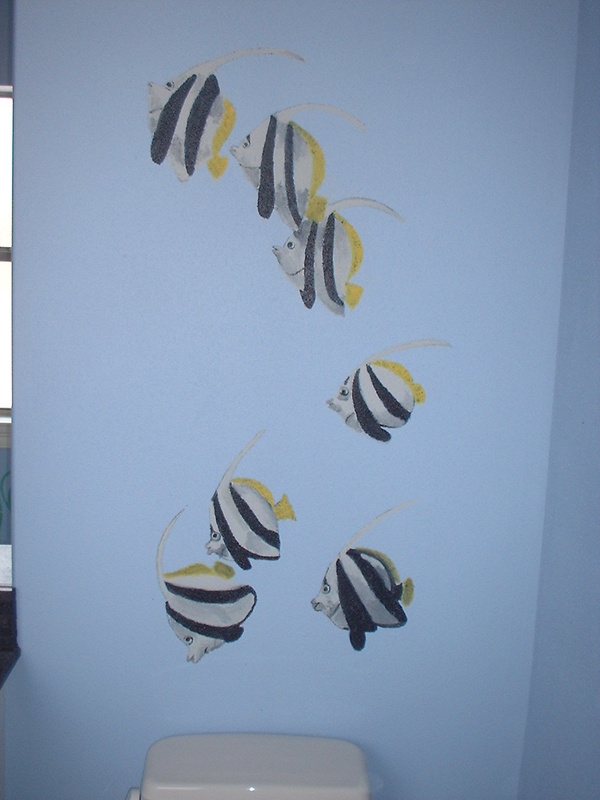 Oceanview in bathroom with bannerfish, sea turtle and other tropical fish. 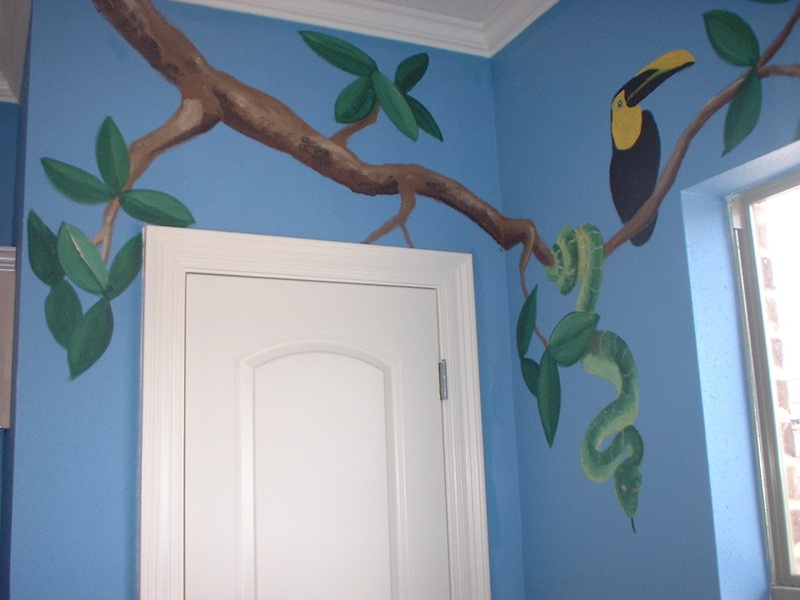 If you would like a sample board for a mural, please contact me via cell phone or email. 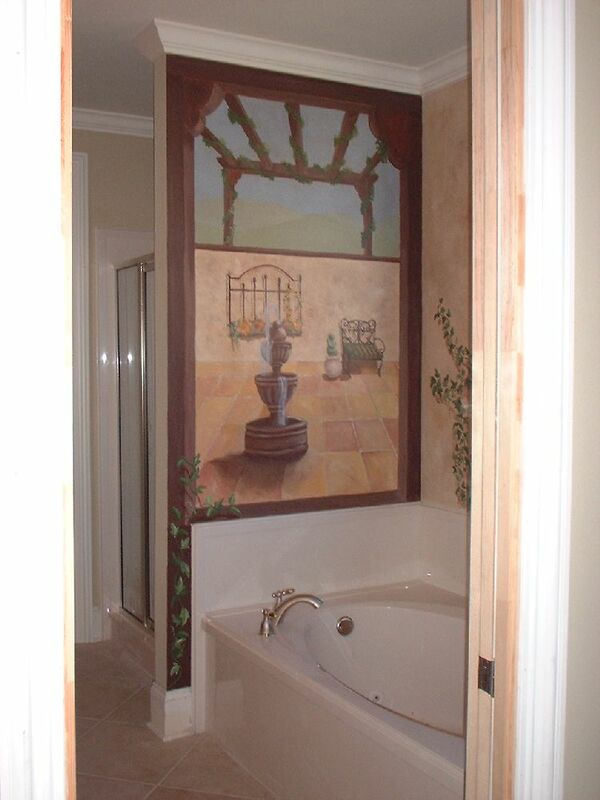 I can post designs to my Client board for your review. 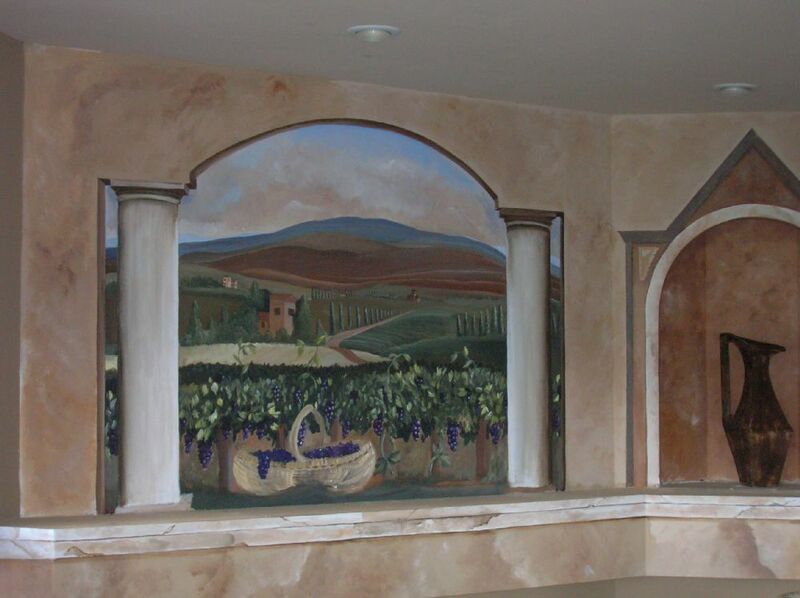 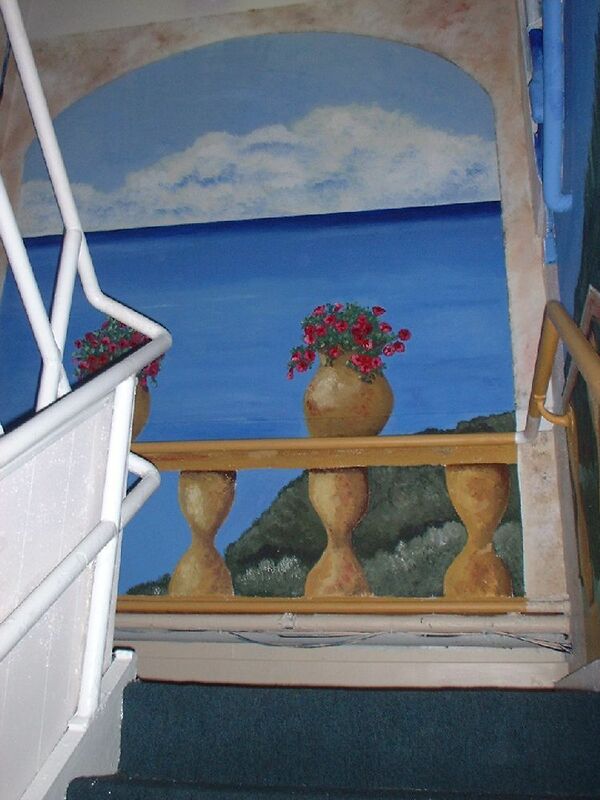 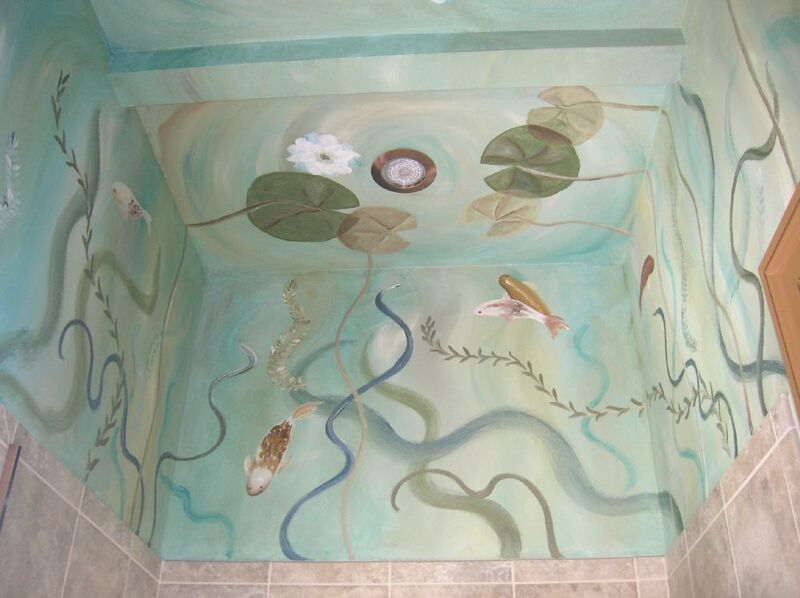 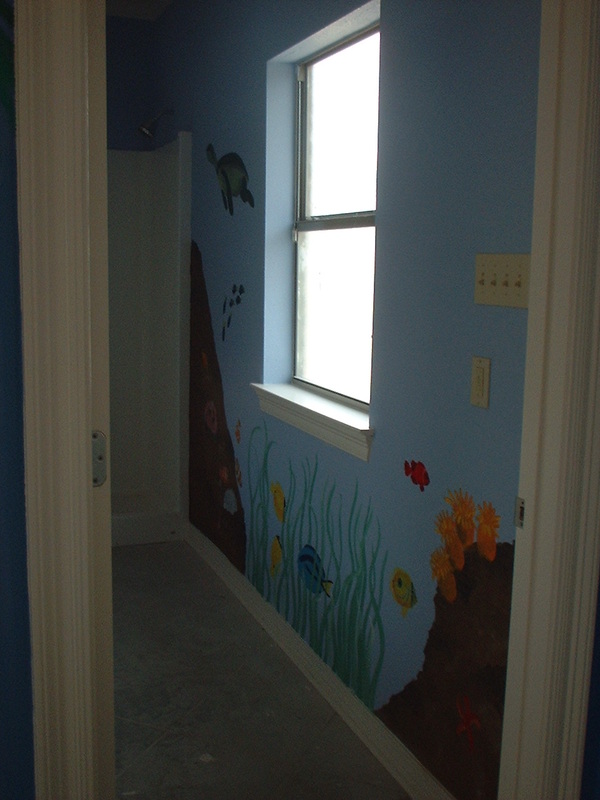 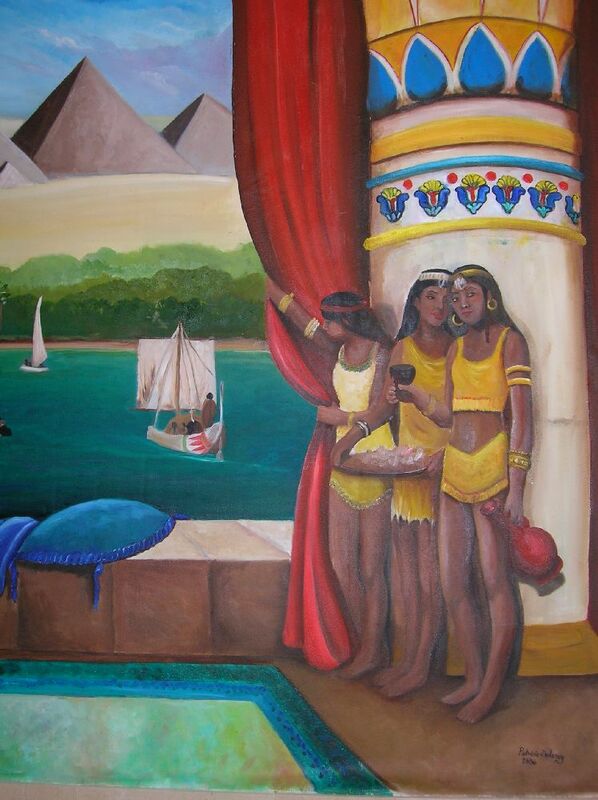 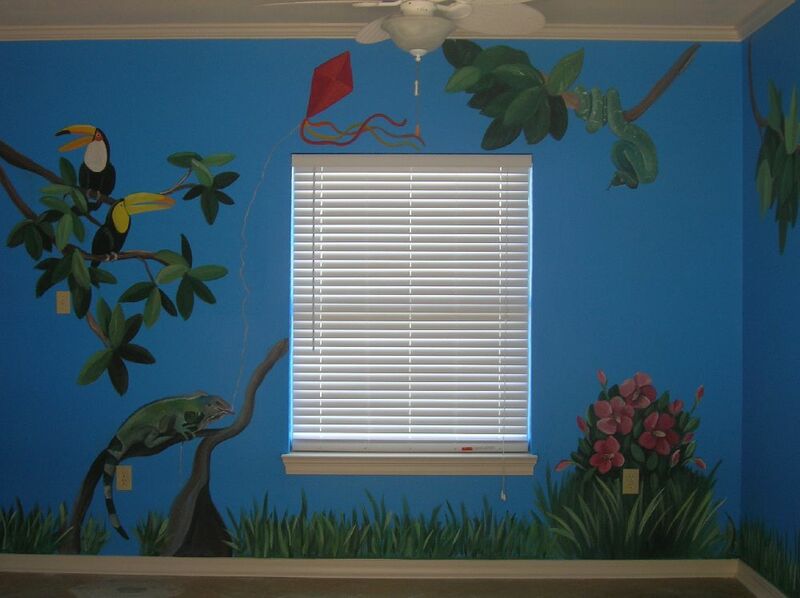 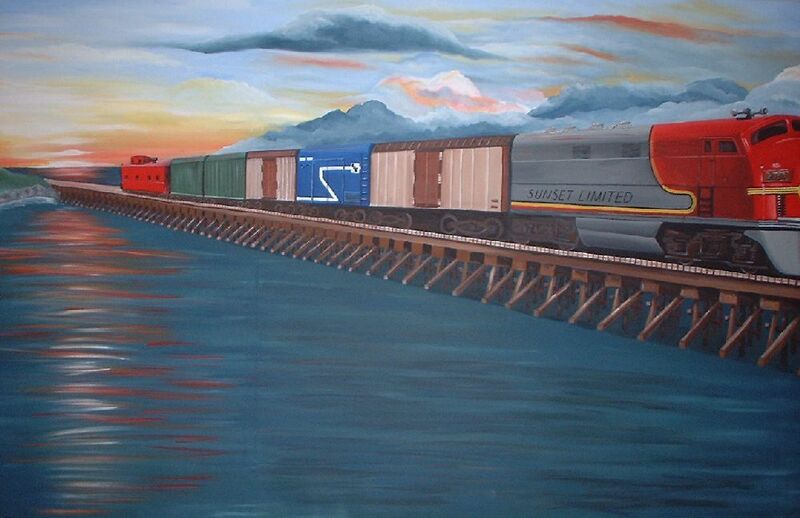 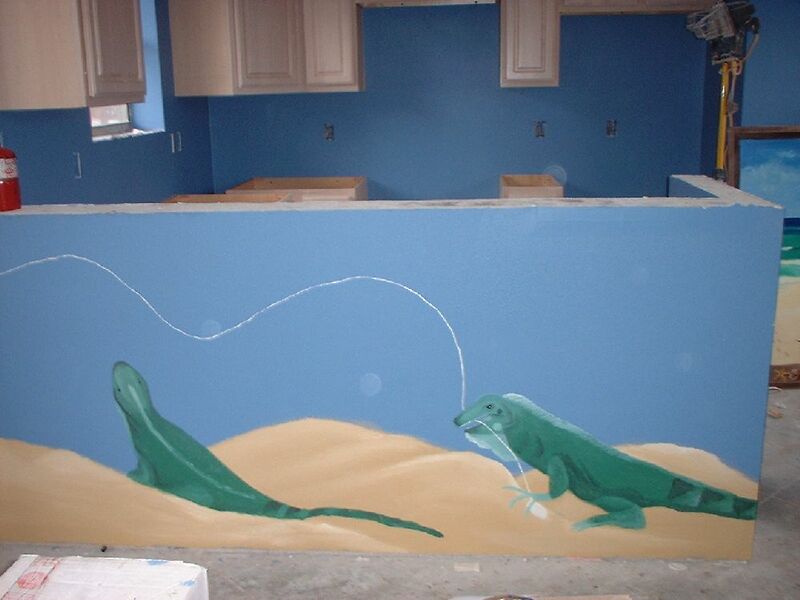 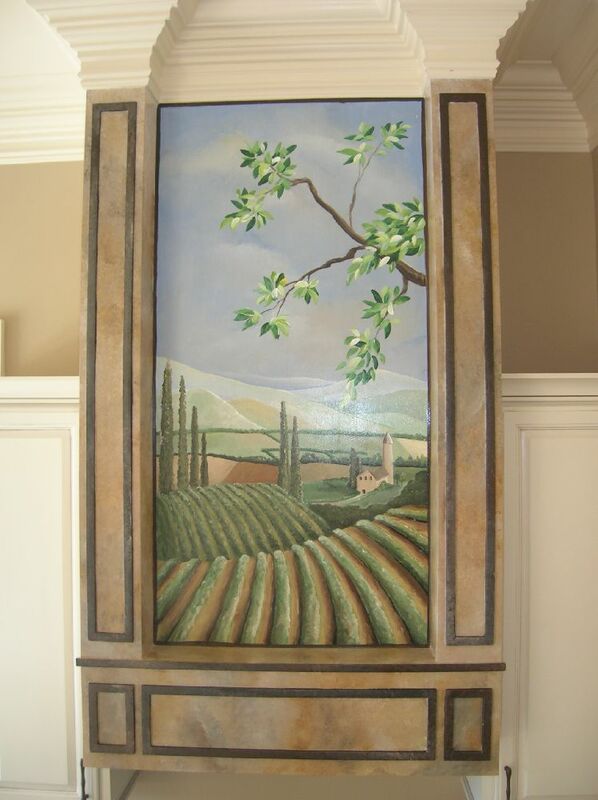 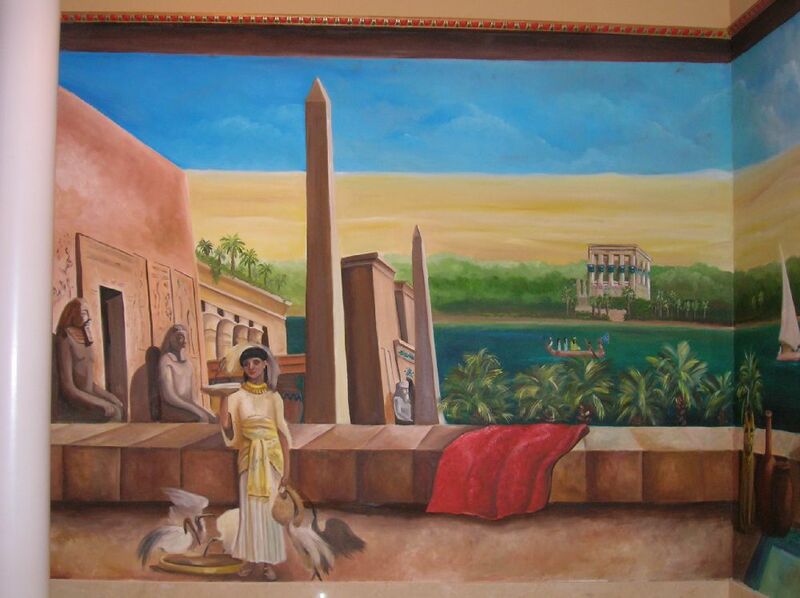 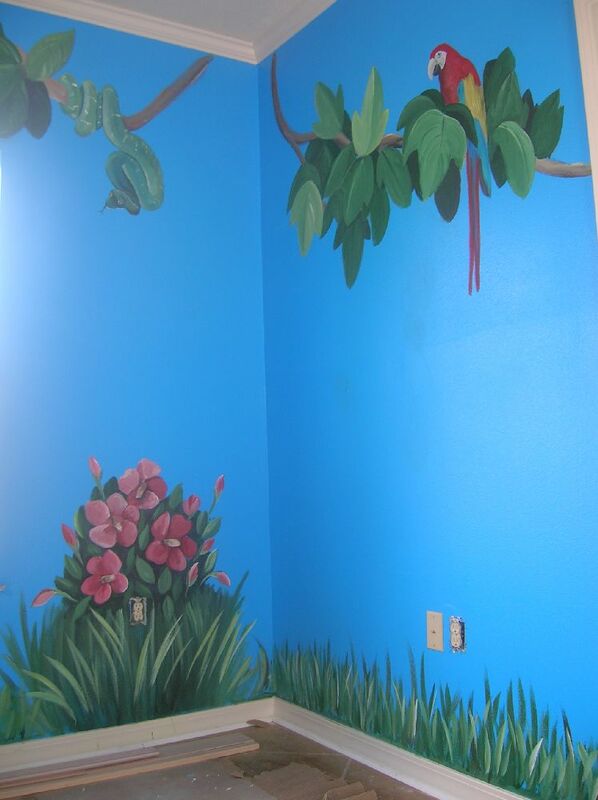 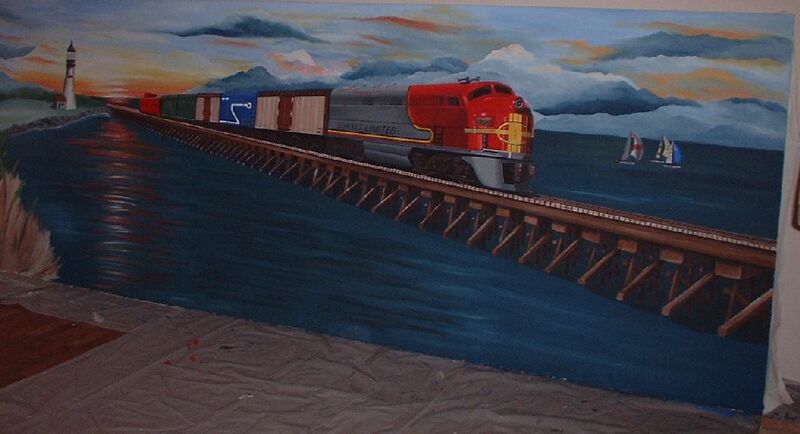 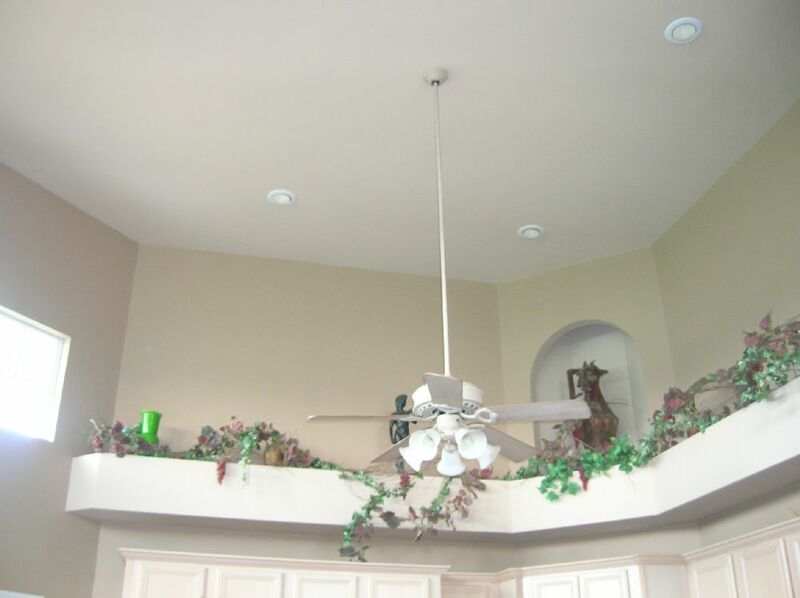 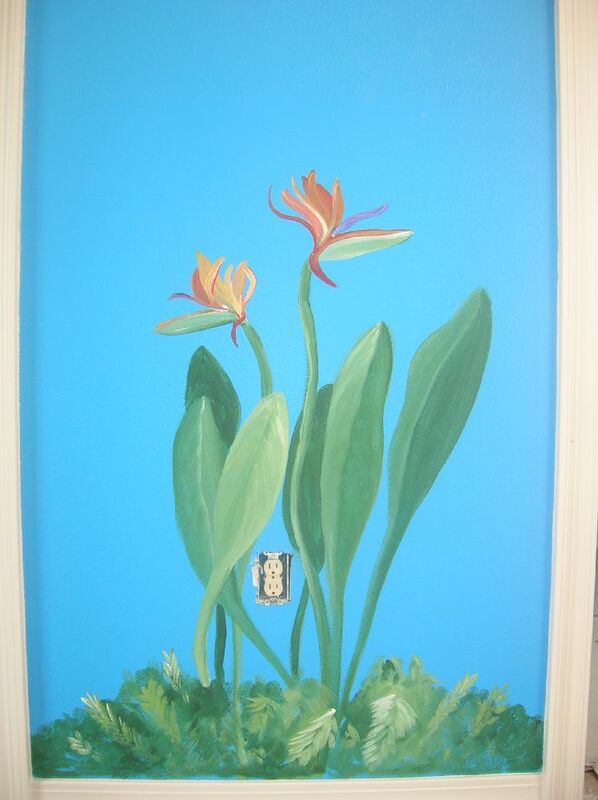 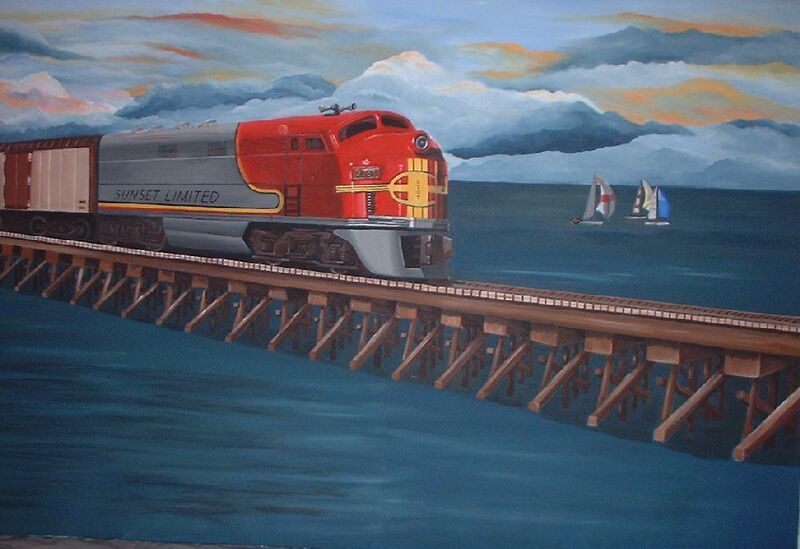 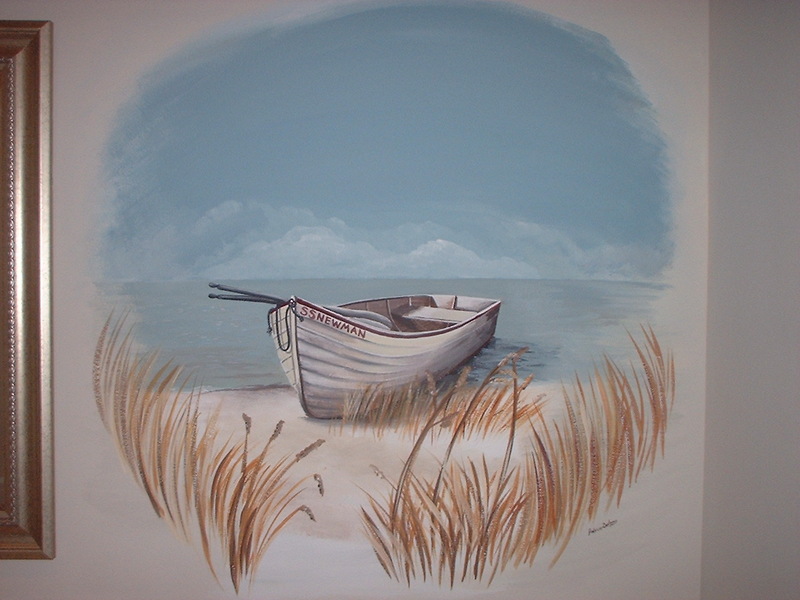 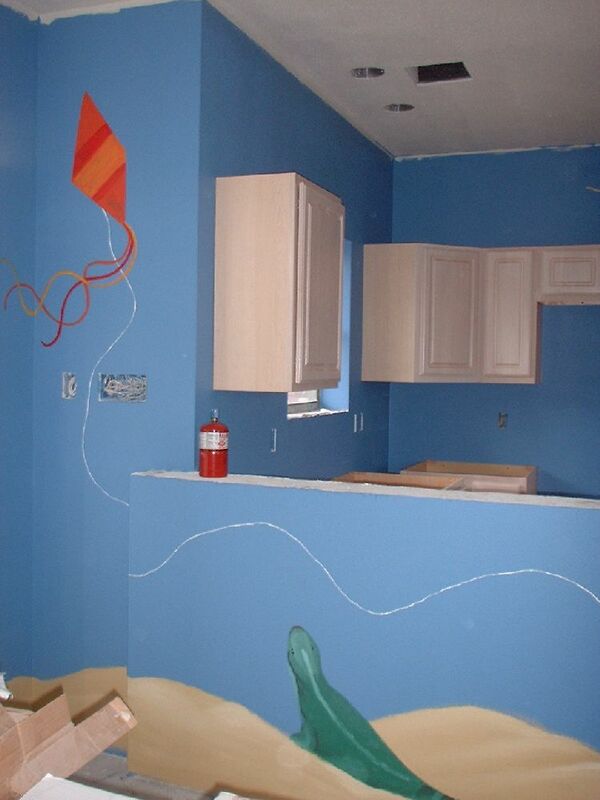 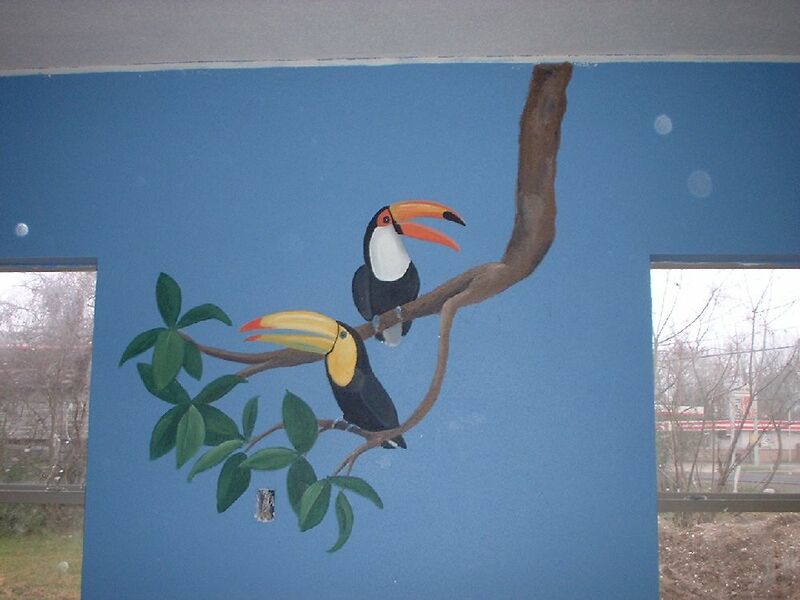 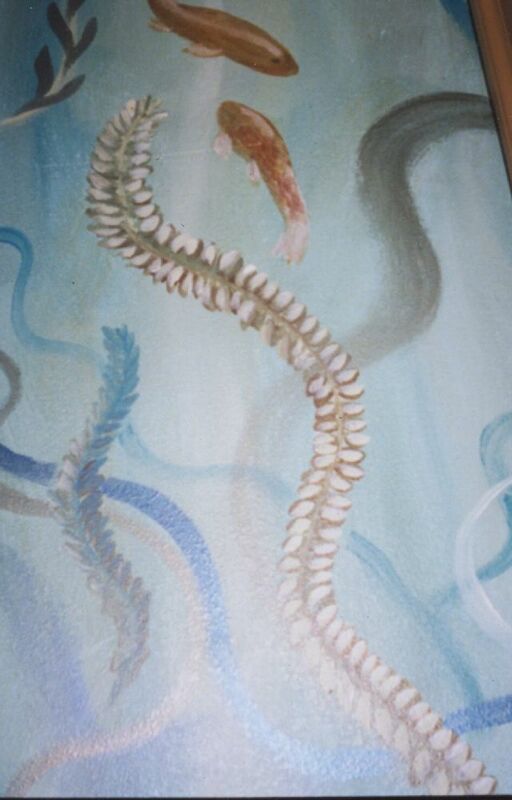 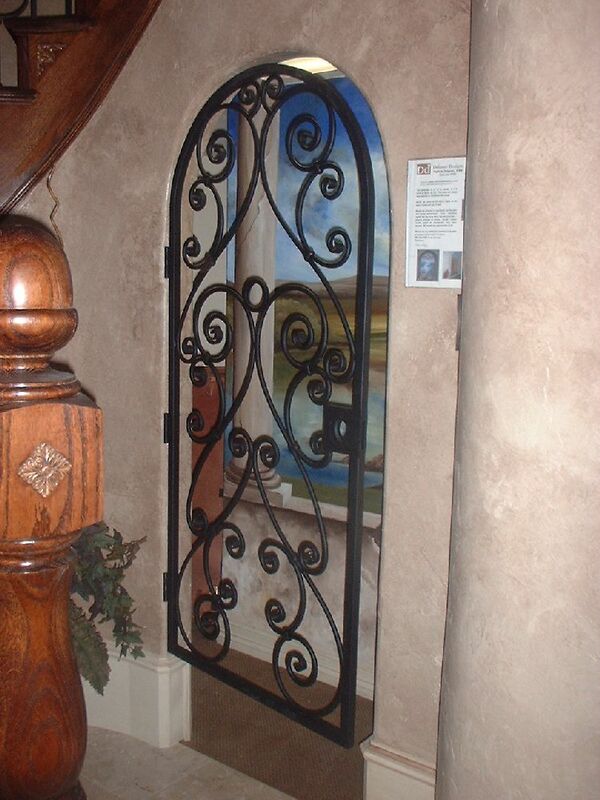 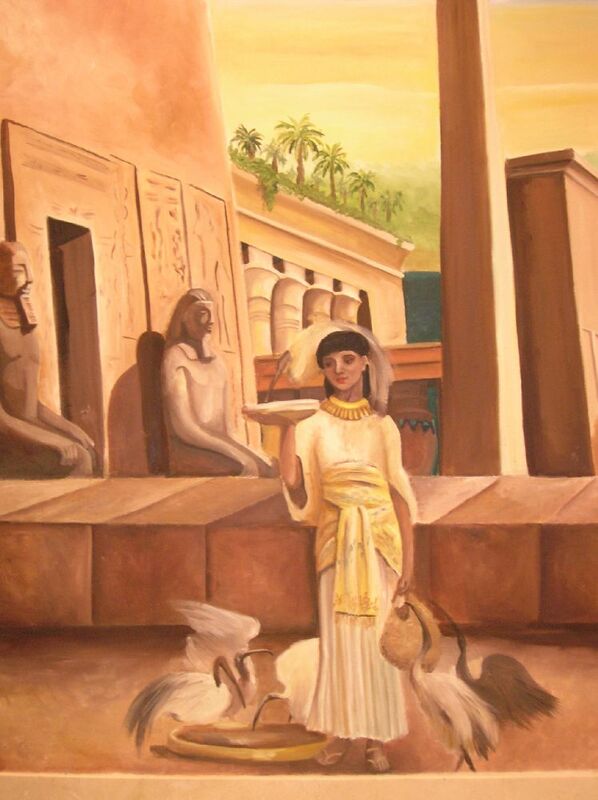 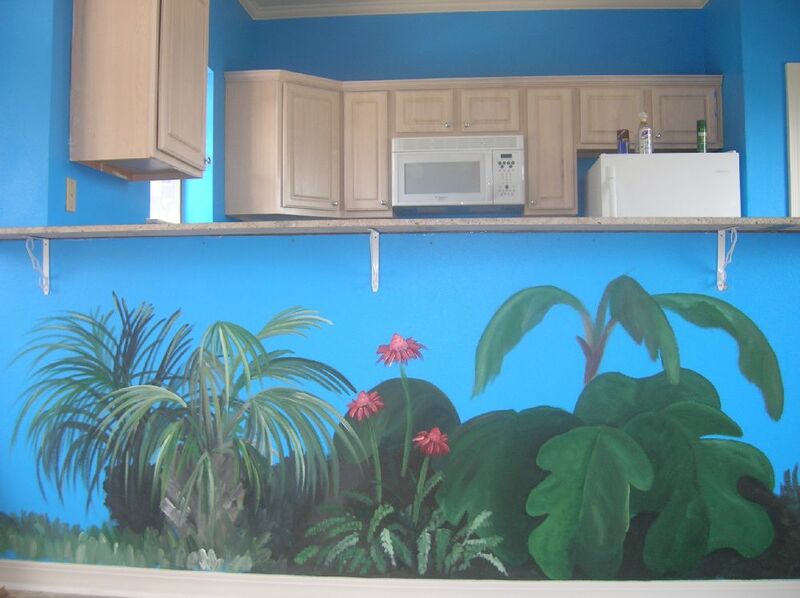 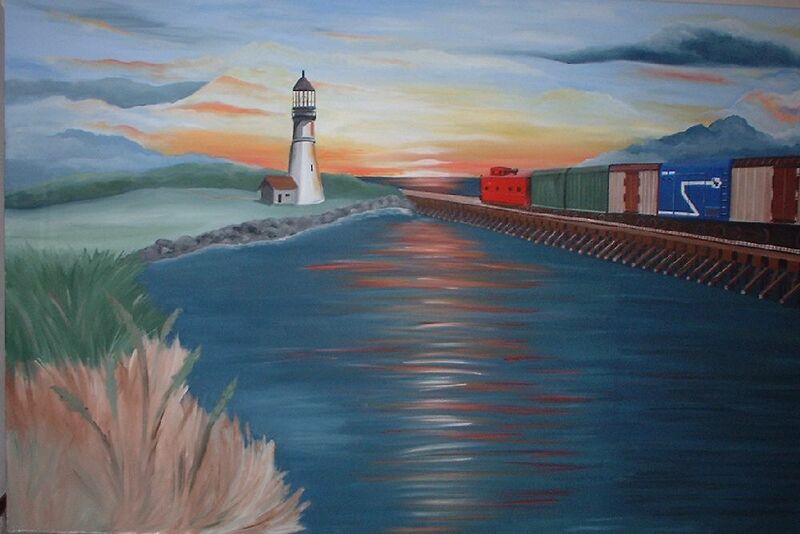 Murals are based on size and detail of work starting at $10 per square foot. 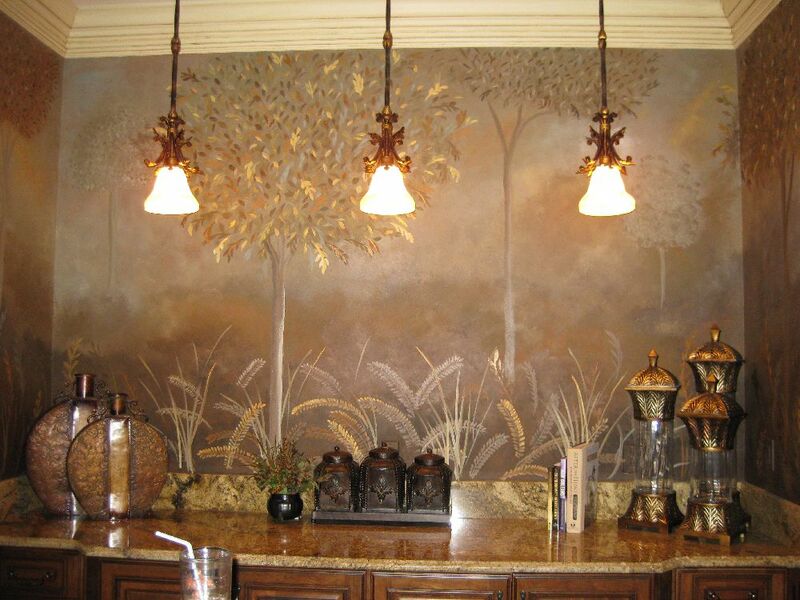 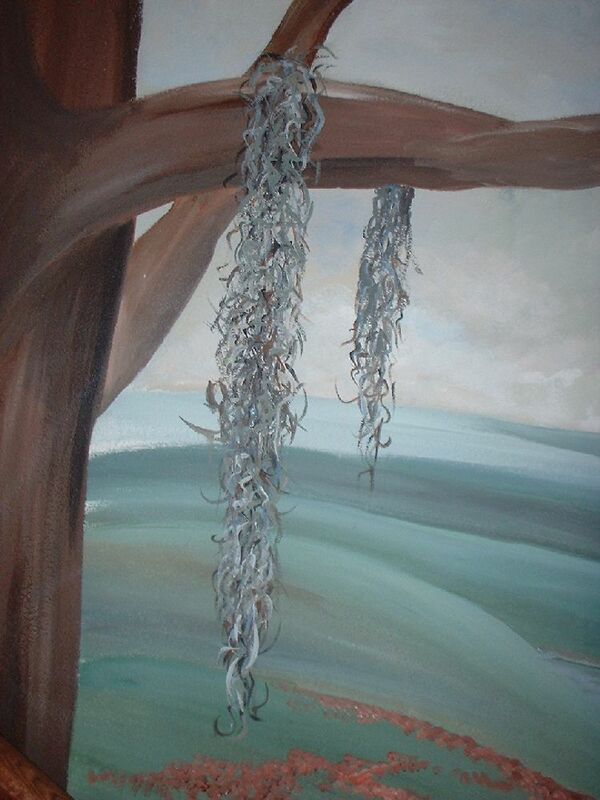 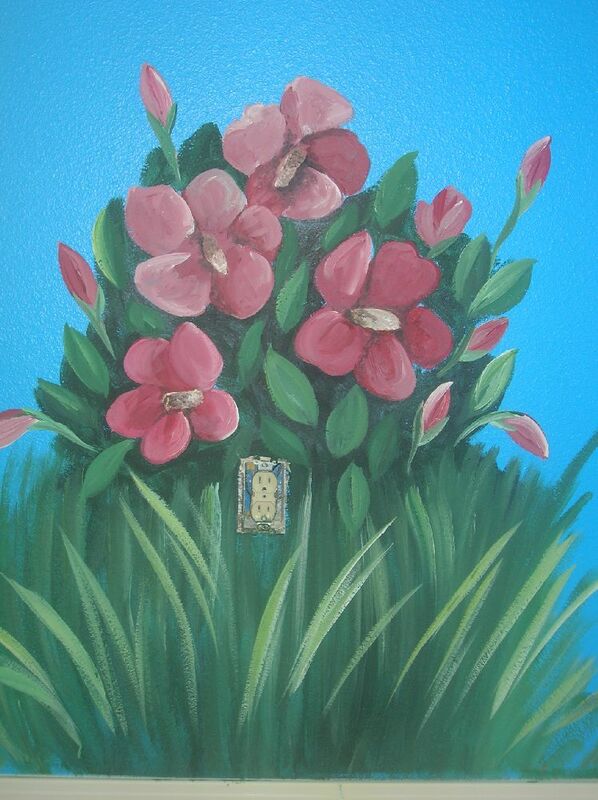 Murals on canvas can be shipped anywhere and can be installed as wall hangings or wallpaper.